Please notice that the maximum group size for 1 Local is 8 people. Groups larger than 8 people will be hosted by minimum 2 Locals. We meet you in the port, in the hotel lobby or at the airport. We offer only a private Day With A Local experience for you and your group, an alternative to a typical guided tour or shore excursion. Above all, you can choose your day program 100 %. Your Local adapts to your and your group’s wishes and requests during the day. Our guests have been delighted by fast correspondence and our reliability. We reply to all e-mail & WhatsApp messages in English within 24 hours. If you don’t receive a reply, please check your e-mail Spam folder! 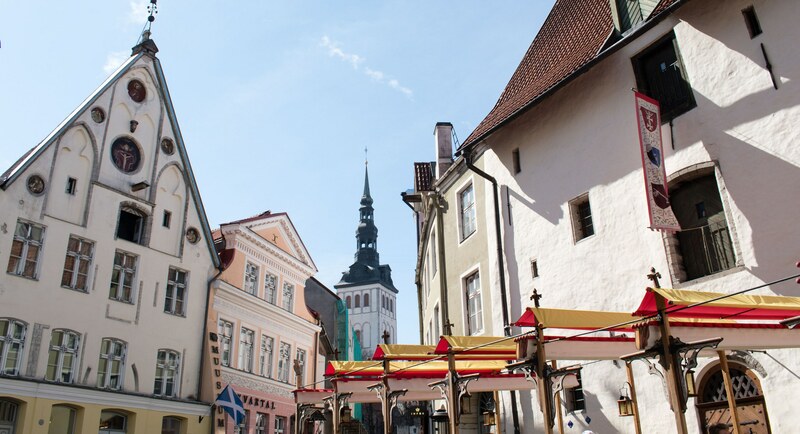 Liisa, founder of the company, owner of the business and a Helsinki Local herself, has handpicked and met all team members in person in all cities: Tallinn, Stockholm, Helsinki and Porvoo. All team members have been trained to host you, yet keeping their own personality at the same time, to keep the experience genuine. We use public transportation, walk, and when needed take a taxi, as locals do. 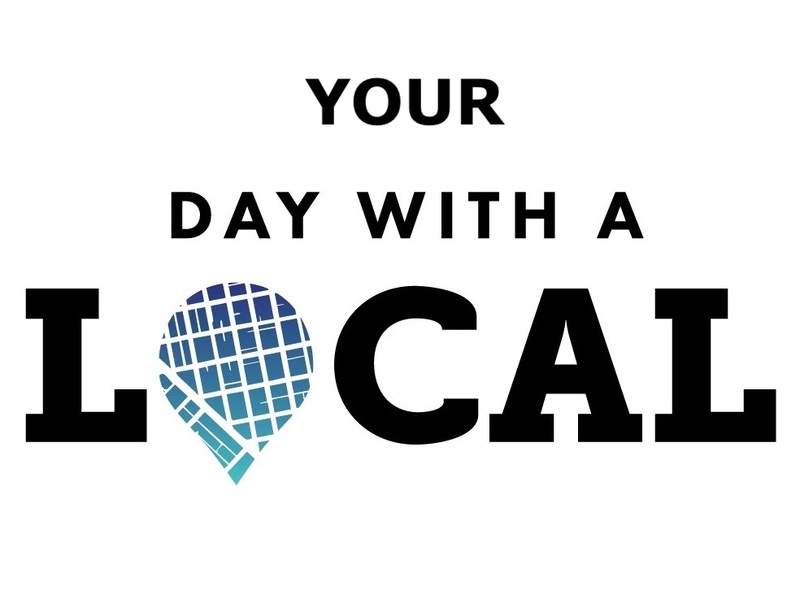 In all of the cities where Day With A Local is available, public transportation is the most convenient way to get around. If you’ve got any special needs, please let us know and we can make arrangements suitable for you. We are happy to arrange private transportation for you, for example. Our concierge / travel assistant type additional services (as arranging special arrangements) start from 60 euros. If there is an additional fee from the arrangements, you are always informed in advance! We have just finished our “Day with a Local ” with Zivile. It was fantastic and beyond our expectations. Zivile was informative, friendly, and such a nice person and took us to places we would never ventured or been aware of their existence. She gave us so much information and we learnt so much. This is one of those days of a holiday that we will remember and treasure long after we return home. Thanks to Kaisu showing us Helsinki. We had a wonderful “day with a local”. 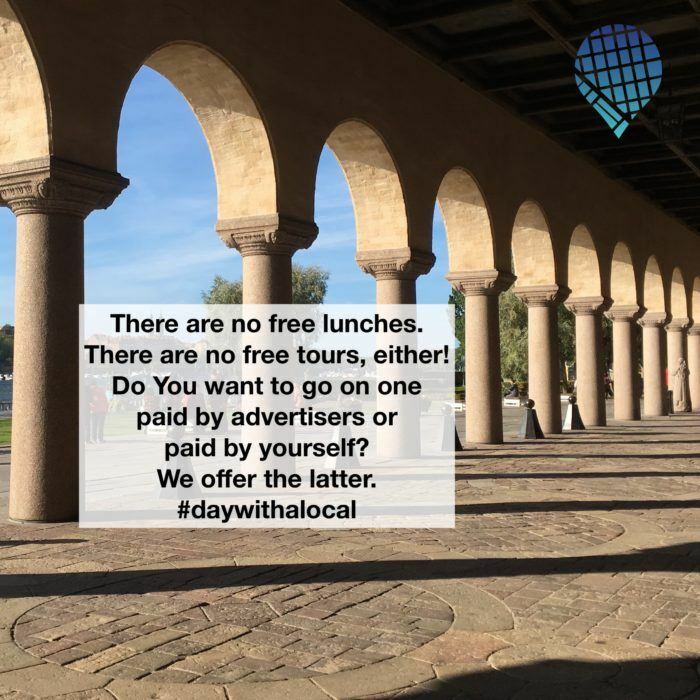 There are two aspects I would like to mention which are totally different when you book a “Day with a local” and not a normal “City guide”. 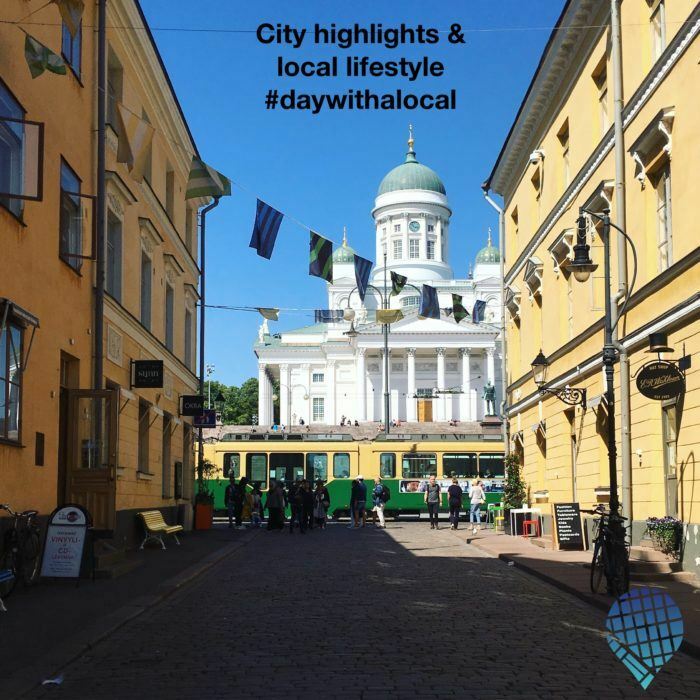 First: with “day with a local “you learn the life of a city like strolling with a friend and not with a “teacher”, who wants to feed you with datas about highlights. And second: it is a very good idea to end the tour with an included dinner. Speaking about people and their every day life is much more natural and informative. I loved how she took our group to see not only a few of the touristy places but also brought us to the more local areas. Great energy and a fun place to visit in the summer. 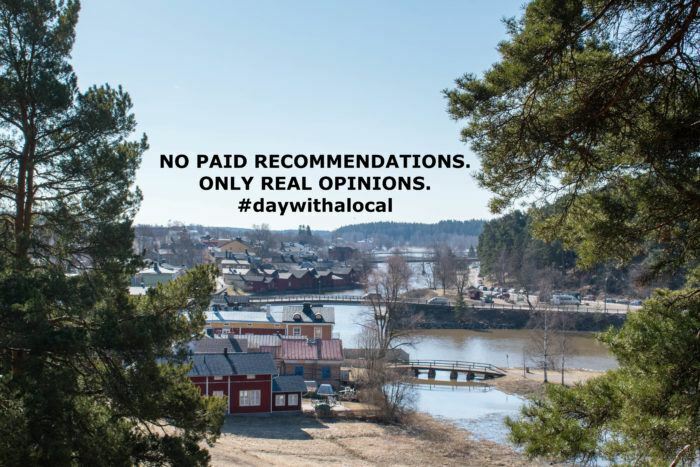 What is Day With A Local? 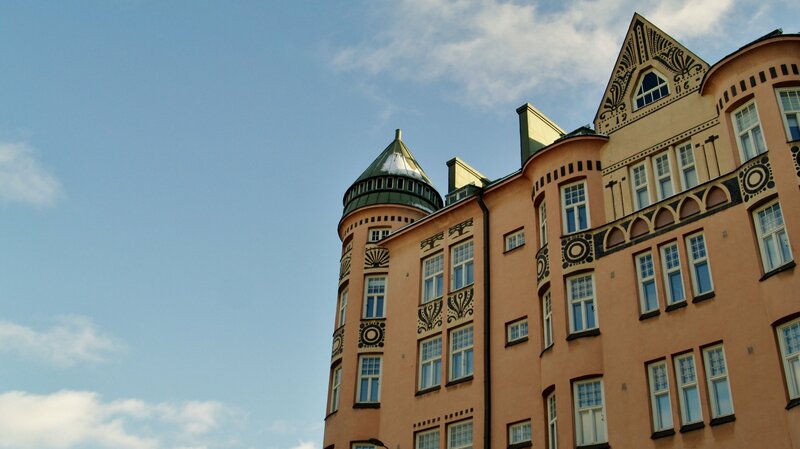 Our service combines city highlights with the local perspective in the city you are visiting. If you want to focus only on highlights or skip all touristy spots, let us know and we will adjust your program accordingly! 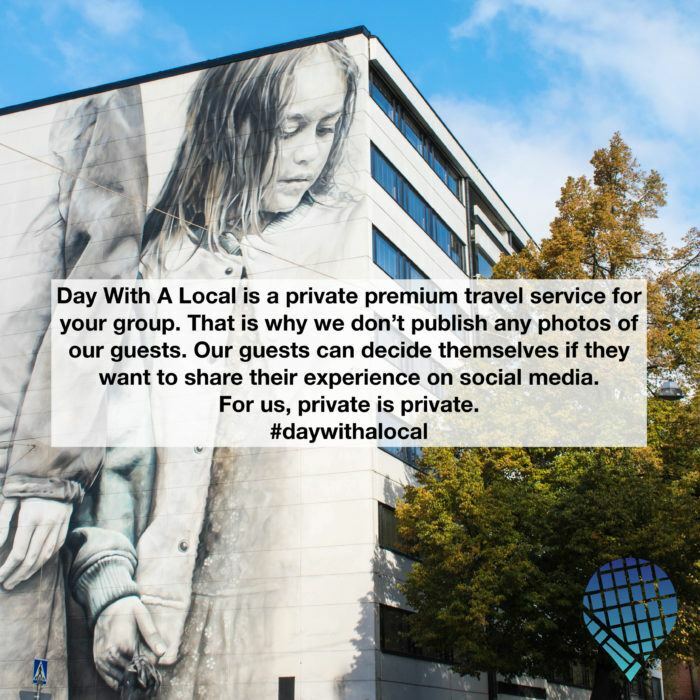 Day With A Local is a day at your pace, according to your and your group's wishes. We have hosted guests with mobility issues or who are in a wheelchair, as well as guests who like to walk the whole day. Tell us what you prefer and your day will be arranged according to your wishes. We usually use public transportation and walk, as locals do. Included in our travel assistant services, we can also make arrangements for private transportation for the day. During your Day With A Local you will meet a Local, see the highlights of the city from a Local's point of view, and you will also receive lots of tips for the rest of your holiday if you're staying for a longer time. Interaction with a Local is a key element of the day. In other words, you will talk and discuss about subjects that you are interested in, visit the places you want to visit, and feel like a local. Day With A Local isn’t a typical guided tour with lots of memorized information one place after another. For instance, Locals are encouraged to add their personality to your day and answer your questions as well as talk freely about subjects that are of interest to them, to create a unique local experience. Our Locals never push you inside a souvenir shop (and you've been on one of those tours before, right?!). All recommendations we give are real – we don't get any movie tickets, free dinners or other compensation for our recommendations (unlike what happens so often in tourism, unfortunately)! We can meet in the port, hotel lobby, railway station, airport arrivals terminal or other meeting point that is most suitable for you. You can ask for a specific program or let your Local take you to their favorite spots! Breaks or no breaks? It's your choice! For instance, you will decide whether you want to have coffee break/s, lunch break, sit in the park for a while – or if you want to keep going the whole day. Your Local adapts to any wishes. Whether it is a shore excursion or a stopover, if you are having a timetable, we will make sure that you are back in the port or at the airport on time although you are going around with your own group only. Your itinerary is created based on your preferences, there is not just one available itinerary of a guided tour but plenty of options where to choose from. Enjoy interaction with a Local instead of 'following the umbrella' on a typical guided tour. Your Local reacts to your needs in terms of pace, breaks and a change in plans, in a 100 % customized way (for sure better than on a typical guided tour). Prices are announced per group up to 8 people. Additional cost for 9+ people. The price of the shore excursion includes meeting the Local in the port and ending the day in the port, at the security gate, time calculated from meeting the guests. We will return back to port 30 to 60 minutes before ship's doors close. Day with Liisa from and back to the port 495 €. 495 €/max 7 hours from meeting (advance payment). 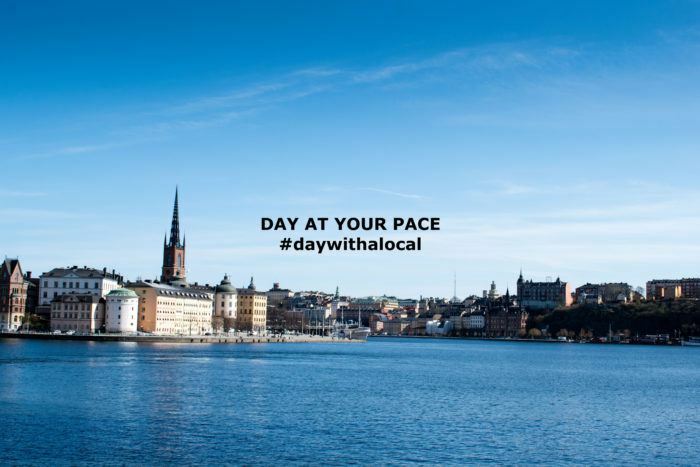 Meet your Local in Nynäshamn port or at Helsinki, Stockholm or Tallinn airport. In Stockholm, goodbye at Stockholm Central Railway Station (additional +100 € if returning back to Nynäshamn with a Local, total 8.5 hours). The price is calculated according to the number of Locals and there is an additional fee for arrangements (minimum 60 €).